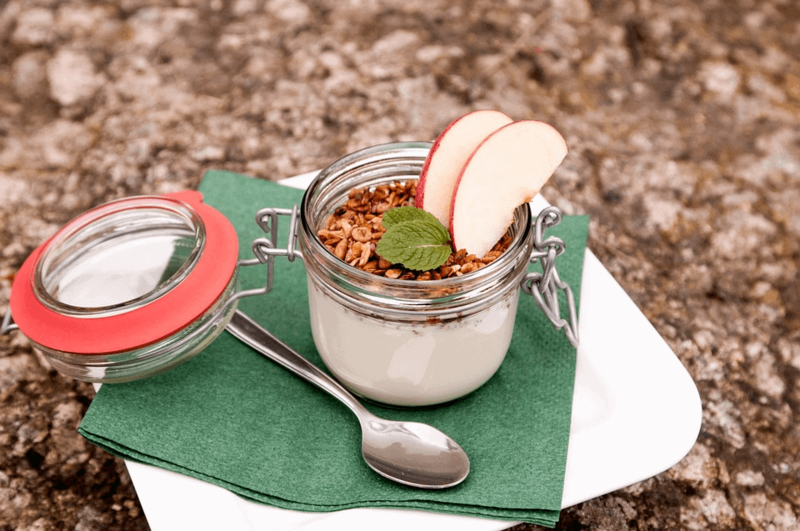 » What Is French Style Yogurt and How to Make It at Home? Yogurt is a popular breakfast, lunch, evening or dinner snack. In other words, you can have it at any time of the day and it is always a welcome delight. You can add fruits or nuts on top, enjoy it at the end of a meal or simply have it as a replacement for a meal if you’re looking to watch your weight. But a new fad in the market is French-style yogurt. Let’s deep dive into what it is! Are Oui and French Yogurt the Same? How Is It Different Than Greek-Style Yogurt? Will French-Style Yogurt Replace Greek-Style Yogurt? How to Make French-Style Yogurt at Home? French-style yogurt is a different style of yogurt than the one you would popularly find at a deli as it is made in small glass jars, with limited ingredients. What makes them unique is that they are made in small batches and each small serving is cultured separately for eight hours. The consumers then eat the yogurt directly out of the jar it was cultured in. It is a thick, unstrained variety of yogurt and is said to be following the tradition of how yogurt was made in French farmhouses. While most other yogurt is made in large batches and then poured into smaller containers, the French do it differently. It is also rich in protein and is a full-fat form of dairy, owing to the fact that it goes through no processing or straining after it sets. Yes, Oui and French yogurt are the same. Oui, by yogurt brand Yoplait, is one of the most popular brands of French yogurt. Oui French-style yogurts are now widely available in departmental stores and marts. They are sold in an attractive packaging and are available in several different flavors. As of now, there are at least 12 different flavors of Oui yogurt in the market. These include Black Cherry, Coconut, Lemon, Peach and Pineapple to name a few. The idea is to concentrate the creamy flavor into a few spoonfuls and savor the taste, one small bite at a time. Oui has also marketed its glass jars as not only environment friendly but also reusable as containers, pots for succulents, hanging flowers, etc. French-style yogurt is often compared to Greek yogurt, which has been popular in the market for the last few years. The following are a few key differences between French-style yogurt and Greek-style yogurt. While both yogurts have a thick consistency, French-style yogurt is said to contain less protein than its Greek version and often has more sugar. A key difference is also that Greek yogurt is strained, whereas French yogurt is served as it is, in the same container it is allowed to set in. Greek yogurt, like most other types of yogurt, is made in a large vat, allowed to set fully and then packaged individually. Well, this depends entirely on personal preference. While Greek-style yogurt has dominated the market for a few years now, the French-style yogurt fad is fast taking over too. It is available in several different flavors, though most reviews seem to suggest sticking to the plain yogurt is your best bet. What makes French-style yogurt an attractive proposition is the packaging and the fact that each jar of yogurt has been individually crafted. Every jar of yogurt you buy, you can be sure that it is not a batch of mass-produced yogurt but the ingredients were put together and allowed to culture right in the container you are eating out of. The fact that it is unstrained also gives the yogurt a thick, creamy texture. While it may contain more fat than Greek yogurt, it seems like a more wholesome dessert or even an evening snack. 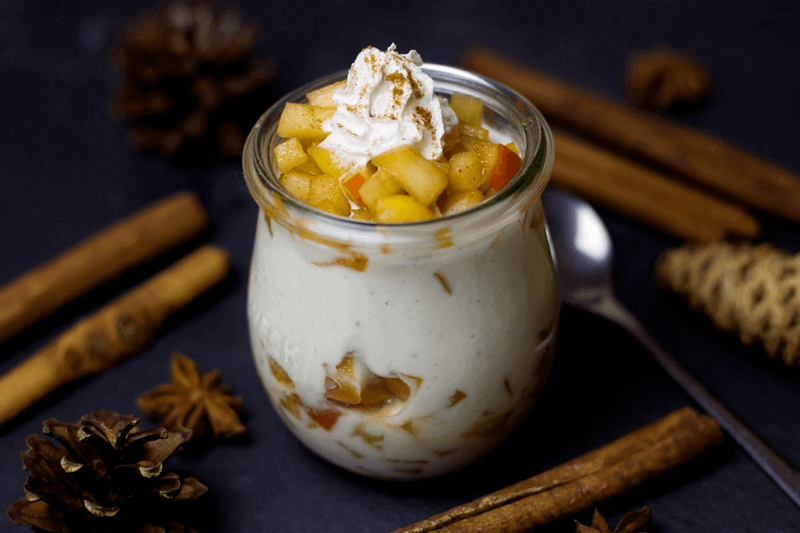 Whether it will manage to surpass the Greek yogurt trend or not, however, is entirely up to personal preferences but it does seem to have a lot to offer. The glass jar is easily reusable. They are also attractively packaged so they look wonderfully aesthetic at your work desk or in your room. You can simply embellish the jar with potpourri or fresh flowers after enjoying the delectable, individually cultured yogurt. Pour the milk and sugar into a saucepan and heat on low flame until it reaches 190°F. Hold at that temperature for about 10 minutes. Turn off the heat and let the milk cool down to about 110°F. You can use a kitchen thermometer to check the temperature. Put the Oui yogurt into a bowl and add two teaspoons of the cooled milk, then whisk until no lumps are left. Pour the mixture and the vanilla extract into the saucepan and mix well. Pour the final mixtures into the jars you will be using. Seal the jars with a lid or tin foil and place into the yogurt maker directly. Press the button and ensure it is in the ‘normal’ setting. Set the pot for about nine hours. Once it is set, you can refrigerate the yogurt for a few hours and serve without stirring. There are several kinds of yogurt makers in the market and any one of them can be a fit for this simple recipe. Yogurt is a great way to end your meal and give your stomach some comfort after a heavy meal. Its probiotic qualities are a great way to nurture good gut bacteria, improve digestion and metabolism. Besides, they are also a tasty, creamy treat and can be enjoyed in several different flavors. While yogurts, as a concept, have been in the market for a very long time, French-style yogurt has recently made it big in the rest of the world. So jump on the bandwagon and try a creamy spoon of the trend while it lasts. If you enjoy that spoonful, you can help that trend last longer!